Veterans – How can I get one? What is available to Veterans? There are many veterans who are rehabilitating from a fall or at risk of a fall. Many are on their own. They need to have peace of mind that if there was ever an accident or emergency, that they can get the help they need right away. During a fall, many might not be able to press a button for help due to being unconscious or seriously hurt due to the impact. 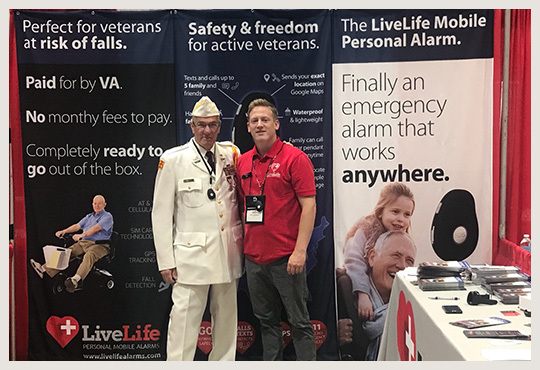 Live Life Alarms has been working closely with the VA all across the country to provide a device that will activate automatically when they fall, no matter where they live in the USA. Ask your doctor how you can be prescribed a medical alert device with automatic fall detection from Live Life Mobile Medical Alarm. Our device is light weight, waterproof and mobile. It comes with Auto Fall Alert and will send text message alerts and call up to five family and friends in case of an emergency. 911 can also be programmed as one of the contacts. To find out more on how you can receive this device, please call toll free 866 205 4872. One of our representatives will guide you in the easy steps to see if you are eligible in your area. We love SERVING our Veterans! Visit your VA provider (VA Doctor, Nurse, OT) and ask for approval. Once approved, a consult must be written for a Live Life mobile alarm with auto fall detection. Medical justification may be: risk of falls and in need of a fall detection that works everywhere, GPS. Once Live Life Alarms receives PO, you will be contacted to arrange programming of your alarm. Your mobile alarm will arrive ready to go out of the box. Call us on 866 205 4872 if you need any help. VA Providers – How do I prescribe one? What information do I need to order this device for my patient? The VA does offer other medical alert devices from other companies, so specifying that you would like to order the patient a Live Life Alarms device with Auto Fall Detection is necessary with the appropriate medical need. When a client is in need of a Live Life Mobile Alarm with automatic fall detection, a consult must be written by their care provider and sent to the Prosthetic’s Department. Go to the Prosthetic’s tab and specify that you are ordering the Live Life Mobile Alarm with automatic fall detection. You must also specify medical need (i.e. they need a device with auto fall detection, patient needs a device that contacts caretakers and 911 during an emergency without needing to press a button to activate, etc). Live Life Alarms may need to be “vendorized” at that local Prosthetic’s office if they have not placed an order before. Please note that the final decision is made at each local office by the Chief of Prosthetics and the purchasing agent. To find out more on how you can help your Veteran receive this device, please call toll free 866 205 4872. A specialist is ready to answer any questions you have. 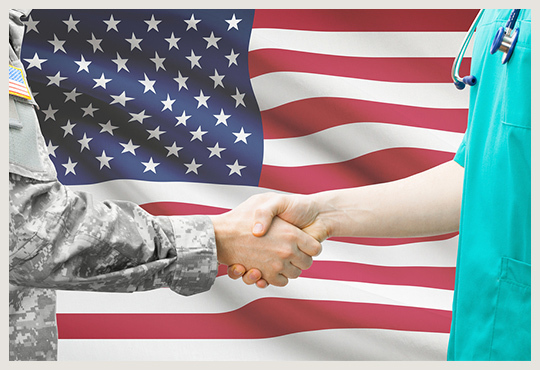 We love SERVING our Veterans! The responsible clinician will author a prosthetic consult specifying the Live Life Mobile Alarm (Product #: LLA EV-07WN) for the patient. Call 1-866-205-4872 for VA Approved Discounted Pricing. Specify the need (auto fall detection required, activate upon falling without pressing a button). Submit the consult to the Prosthetic’s department at your local VAMC.